Through out our Army’s process of building, fighting and maturing, generations of its youth union members and youths have inherited and promoted their ancestors’ patriotism and resilient spirit to fight the invaders, courageously combating and gaining glorious victories, making contributions to the heroic history of our nation, building up honourable tradition of the heroic Vietnam People’s Army. Today, the Army youth are carefully selected with high qualification. They are educated and trained comprehensively in the aspects, such as politics, morality, culture and fitness, being the main force to directly enhance our Army’s synergy and combat readiness. Being led, directed and guided by the Central Military Commission, the Ministry of National Defence, the General Department of Politics, the Ho Chi Minh Communist Youth Union Central Committee, and directly by units’ party committees, political commissars, commissars, commanders and political organs, youth work and activities of youth organizations in the Army have developed robustly and obtained practical results. Youth organizations have been strengthened, playing an active role in mobilizing the youths and promoting their pioneer role in all assigned tasks. Attention is paid to training them on ideology and traditions, political stance, the faith, the patriotism and responsibility. The campaigns, such as “Army youth strive to cultivate morals and talents, pioneering, deserving to be Uncle Ho’s Soldiers”, “Army youth reaching to the peak”, “Army youth with science and technology”, “Army youth and traffic culture”, “Army youth study and follow Ho Chi Minh’s moral example”, have been implemented extensively, involving all youth union members and youths in. Those activities have provided youths with a favourable environment to strive, cultivate, devote and mature. However, mobilization of Army youth has not met the requirements and exposed several limitations. In that context, party committees, political commissars, commissars and commanders should be fully aware of the position and role of youths and youth work in the Army, then set out guidelines and measures to manage and direct the activities of youth organizations and movements effectively and appropriately, with a focus on the following points. First, it is necessary to strengthen the leadership and direction of party committees and commanders over the youth work in the Army. 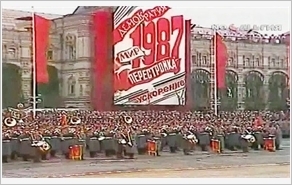 In this regard, it is important to be fully aware of the position, role and demands of youth organizations and movements of organs and units, understand their thought and legitimate aspirations, and give youth organizations and movements directions over content, forms and measures of operation to ensure political and ideological orientation. Second, it is necessary to actively innovate the content and methods to educate and cultivate youths. Youth organizations at levels should focus on educating their members and youths on tradition, goals, ideals, law and discipline, cultivating their morals and patriotism, building and strengthening their political stance and faith, and raising a sense of responsibility in task performance. Political education must be linked with morality and the practice of law and Army discipline, focusing on the acceleration of studying and following Ho Chi Minh’s thought, morality, and lifestyle among youth union members and youths. It is also vital to focus on subjects such as national history, tradition, resilient spirit and cultural identity, the enemy’s plots and tricks, and partners and opponents. Moreover, young soldiers should be updated with official information so that they can detect and deal with unofficial and distorted information to firmly protect the Party’s ideological background in the Army. Third, it is necessary to effectively implement the above mentioned movements. It is the organization of revolutionary action movements that promote intelligence, potential and creativity of the Army youth. One important thing that should be done now is to renew the content of youth movements, focusing on main and difficult tasks, as well as the weaknesses. To this end, there should be appropriate guidelines and measures that facilitate the real quality of emulation movements. Fourth, it is important to attach great importance to building strong youth organizations to make them real socialist schools in the Army and credible reserve forces of the Party. Youth organizations at levels should strictly follow regulations. The task of consolidating youth organizations should be associated with the work of building pure, strong party organizations and comprehensively strong units. In addition, it is necessary to further educate, cultivate youth union members, and commend elite ones to the Party. Moreover, organs and units should attach great importance to the consolidation of their organs and cadres in charge of youth work. Youth leaders at levels should raise a sense of responsibility, actively learn and improve skills in youth mobilization to relentlessly develop units’ movements. Young soldiers should actively study and improve their professional knowledge, raise a sense of responsibility, and frequently cultivate revolutionary morality and political stance, to be a really core, vanguard force in the cause of building the Army and protecting the Homeland in the new situation.